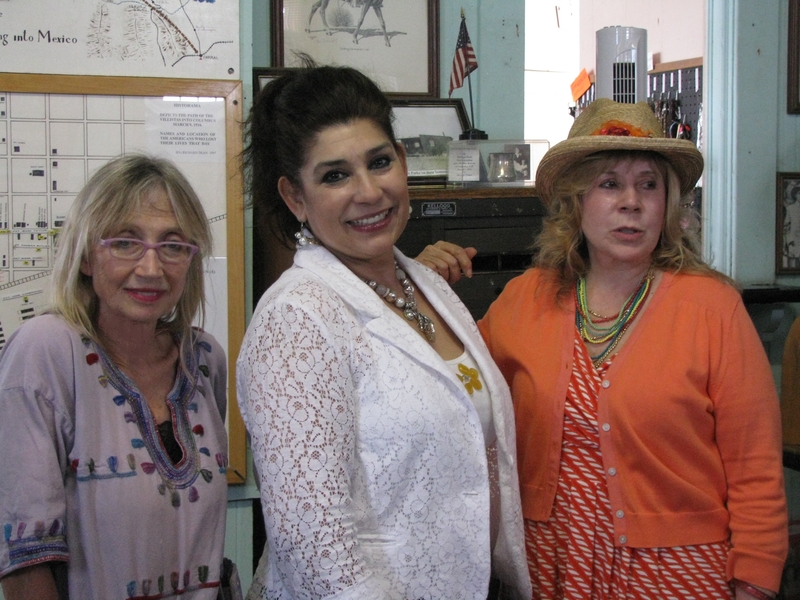 L to R: Aerodrome Editor, July McClure; FASF Treasurer, Alma Villezcas; & Vice President, Dr. Kathleen Martin, stop to pose in Columbus Historical Society’s Depot Museum in Columbus, before leaving for lunch meeting in Mexico. 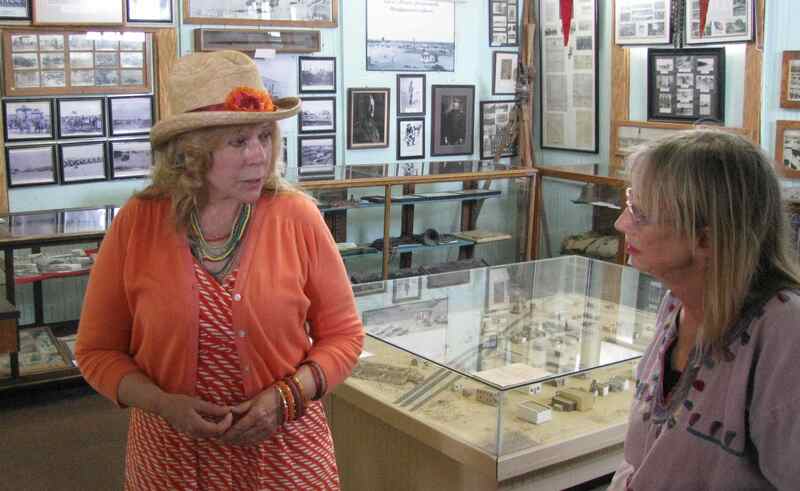 Dr. Martin (Left above) discusses Punitive Expedition artifacts and her grandfather’s U.S. Army involvement, 99 years previously, in both Columbus and Mexico during Punitive Expedition, with Aerodrome Editor, July McClure. 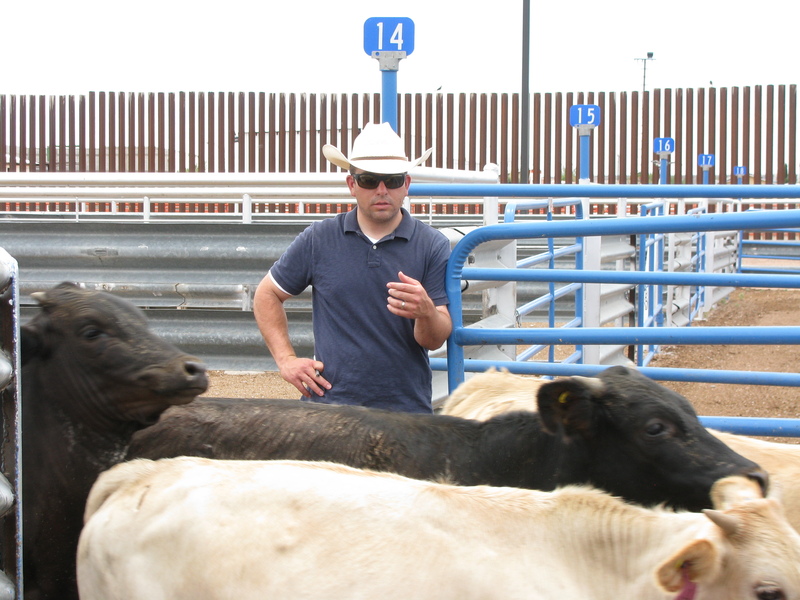 Above photos show Trustee Bill Wallace at work directing cattle operations on Mexican Border before Trustee meeting at the Pink Store in Palomas, Mexico, less than a mile from Bill’s Cattlemex facilities. 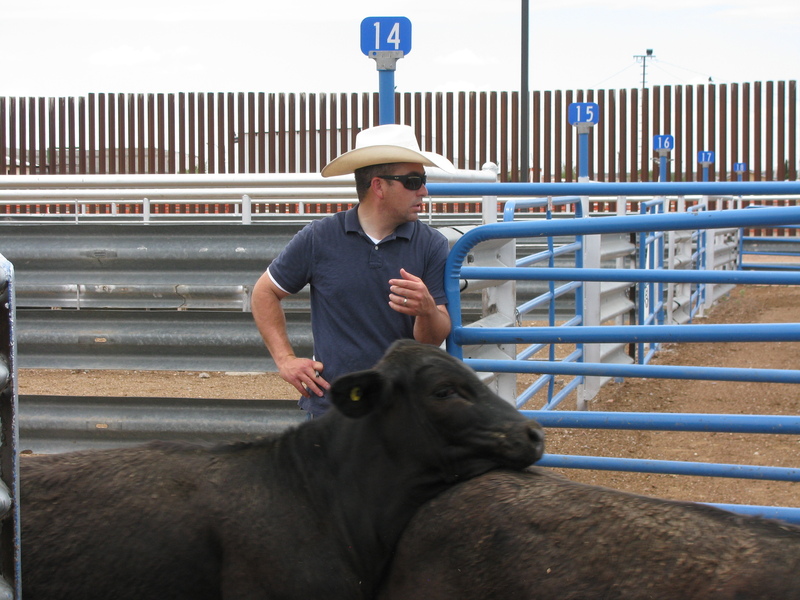 CATTLEMEX is an FASF supporter. 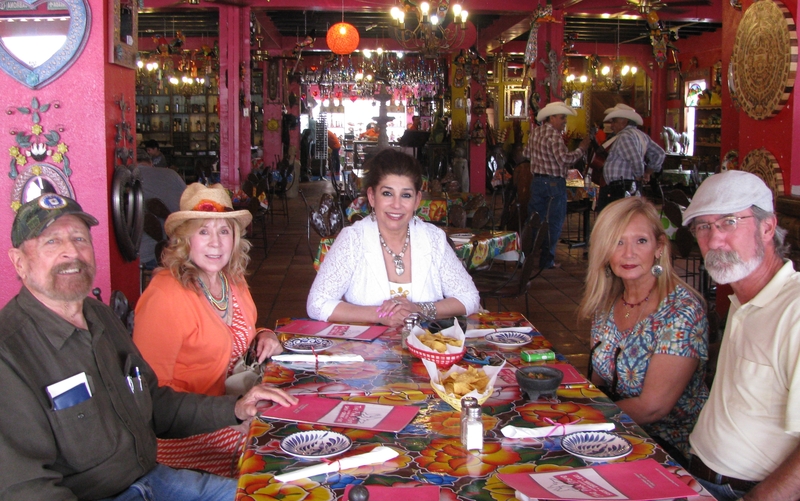 Above, L to R: Ric Lambart, Dr. Kathleen Martin, Alma Villezcas, Polly and Roy Mantei, waiting for Bill Wallace to arrive. FASF Art Projects and the upcoming FASF Website Store and the products to be sold were explored. All photos taken by the Aerodrome Staff, except the last, which was courtesy of the Pink Store. This entry was posted in HOT NEWS! on June 30, 2015 by FASFRIC.